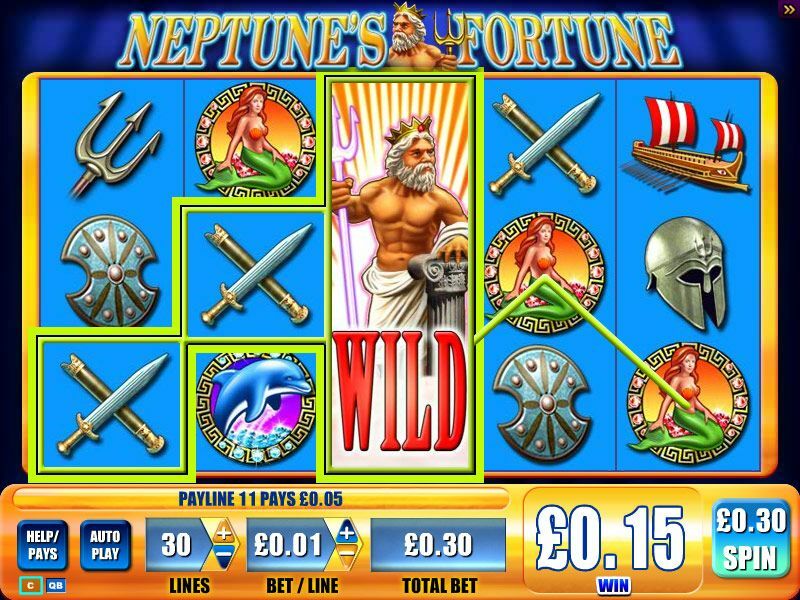 You’ll find yourself deep under the ocean in this exciting spin slot game, Neptune’s Fortune. 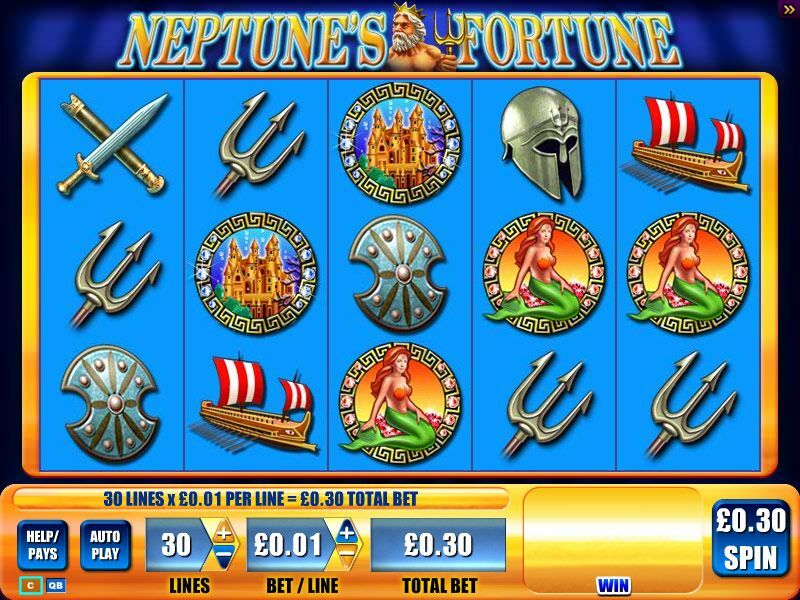 Free spins are the name of the game… well, Neptune’s Fortune is the actual name of the game, but you catch our drift! Trigger the feature and you’ll be partying under the sea! 3 or more scattered TREASURE CHEST symbols on adjacent reels (beginning with the leftmost) and you’re on your way to feature fun. Neptune is wild for all symbols including the feature trigger and the not-shy Neptune expands to fill the reel. 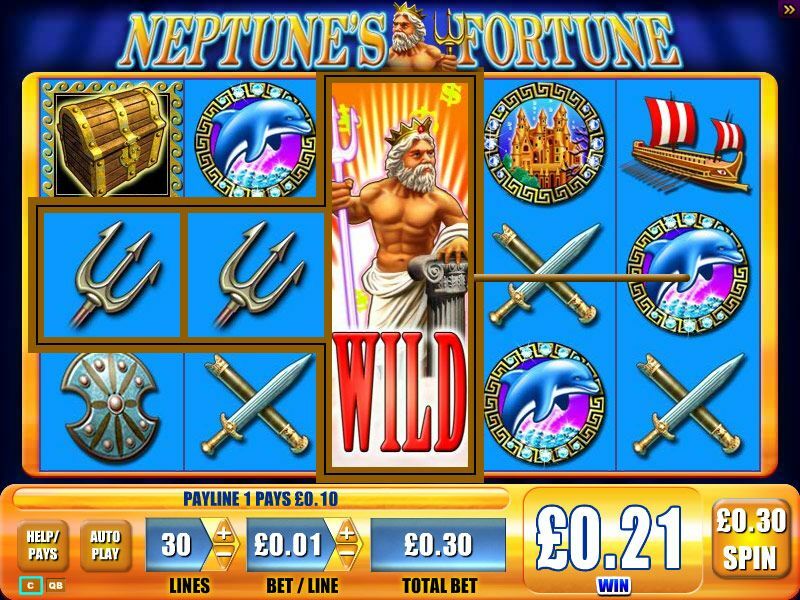 If you’re in the feature and land 3 or more TREASURE CHEST symbols on adjacent reels, (again, from the left) you’ll swim your way to an additional 8 more free spins.